Restorative dentistry treatments can repair dental damage and restore the smile's appearance. Preventing the need for and maintaining the results of restorative dentistry treatments is easy thanks to the humble toothbrush. The toothbrush is an indispensable tool that helps us protect our oral health and keep the smile vibrant and beautiful. Although the toothbrush is important to our daily lives, most of us never think about life before the invention of the toothbrush. Discover the history of the toothbrush in this overview from Red Bank, NJ dentist Michael J. Bixby. Before the invention of the toothbrush as we know it, the ancient Egyptians simply used their index finger with a tooth powder made of pumice, eggshell fragments, myrrh, and ash from ox hooves. The earliest evidence of an actual tool for cleaning the teeth has been dated back to around 3500 to 3000 BC. Used by the ancient Babylonians and Egyptians, this device was essentially a twig with a frayed end, called a “chewing stick.” Chewing sticks were also used in ancient China, where they used twigs from aromatic trees for fresher breath. The Chinese may have been the first to use a true brush with bristles to clean the teeth, with evidence of these being used in the 15th century. These early toothbrushes consisted of a bamboo or bone handle, along with hairs from pigs, which were used as the bristles. These toothbrushes were brought to Europe where horsehair or feathers were used as bristles instead of coarse pig hairs. In 1780, the first mass-produced toothbrush was developed by William Addis. Addis designed what would become recognized as the modern toothbrush while he was in prison. Not satisfied with the rags and soot given to him to clean his teeth, Addis took a small animal bone and added some holes to one end. He then tied some bristles made of swine hair through the holes and glued them in place. After his release from prison, Addis started a business to mass-produce his toothbrushes. Nylon bristles weren't available until nylon was invented at Du Pont Laboratories in 1937. In 1938, the first truly modern toothbrushes were made, using nylon bristles instead of animal hair. By the 1950s, different textures of nylon bristles were available to give people a choice between hard bristles and soft bristles. 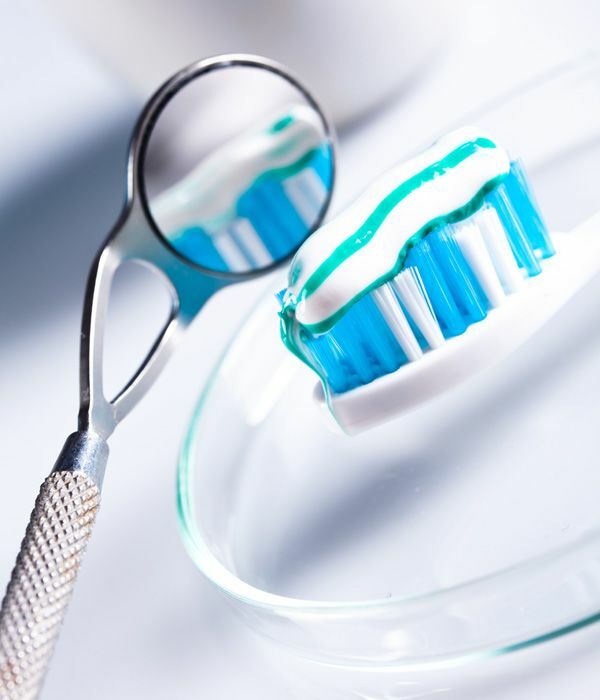 Since the invention of nylon bristled toothbrushes, toothbrushes have further improved with different handle shapes, head shapes, sizes, bristle arrangements, and electric power, but the basic design has stayed the same. All of the different types of toothbrushes can make it difficult to choose the best design to keep your smile healthy. In the end, the best toothbrush is the one you use at least twice a day and replace every three months. Although routinely brushing can help prevent tooth decay, brushing alone is not enough to keep the smile healthy and beautiful. For more information about maintaining good oral health, or to find out which treatments are right for your need, we welcome you to schedule a consultation with Dr. Bixby.